Several months ago, I published an article on the Antikythera Mechanism. The Antikythera Mechanism has been called “the world first computer.” The mechanism was developed by the Greeks around 100 B.C. Recently, scientists using modern-day techniques have concluded that the Antikythera mechanism was an astronomical calculator. Nature Magazine (Volume 444, Issue 7119, pp. 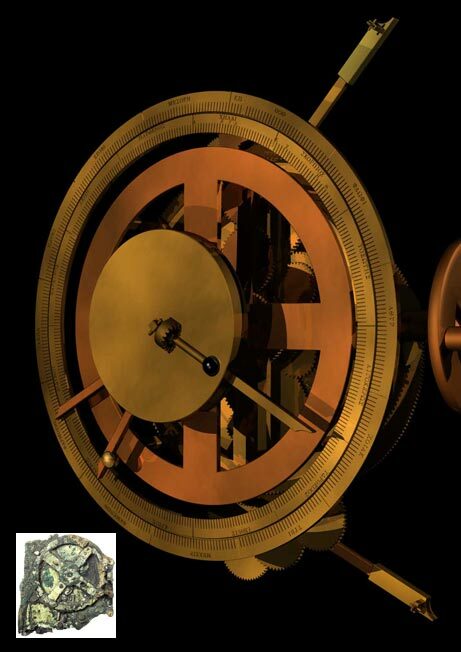 587-591 ) has published an article, “Decoding the Antikythera Mechanism: Investigation of an Ancient Astronomical Calculator,” that studies the nature and purpose of the mechanism. The article is available in PDF format free online here. The Antikythera Mechanism Research Project has produced an intensive bibliography of academic articles on the Antikythera Mechanism. The bibliography is available here. This entry was posted in Antikythera Mechanism, Archaeology and tagged Antikythera Mechanism, Archaeology. Bookmark the permalink.